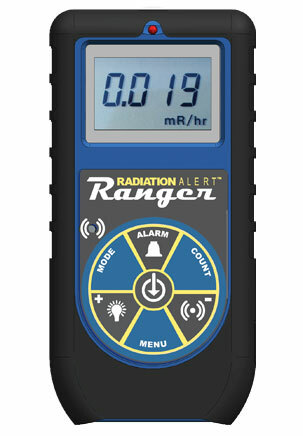 Portable Geiger-type radiation monitors used for a wide range of radiation measurement applications; used to measure radiation levels, quantify surface contamination, detect X-ray leakage, warn of elevated radiation levels, conduct contamination surveys, etc. Used for a wide range of radiation monitoring applications, including measurement of ambient gamma radiation, X-ray leak detection, search and measurement of radioactive contamination, and specific measurement of surface contamination by beta emitters. A movable screen covers the entrance window, to enable discrimination between gamma, and beta/alpha radiation; with the screen inplace, the monitor acts as a compensated Geiger monitor for gamma radiation dose measurement, while uncovering the screen allows the monitor to measure lower energy X-ray and gamma radiation, and alpha/beta radiation. Dose rate mode, cps mode, and surface contamination mode reading beta radiation flux levels. Activates an alarm if radiation levels exceed a pre-set threshold. Supplied with software and USB and cable to enable real-time visualization of radiation level on a PC, change instrument configuration, and retrieve data stored in the instrument's memory. Easy-to-use professional survey meter, used for a wide range of radiation detection applications, including search and detection of radioactive materials, X-ray leak detection, and radioactive contamination surveys. Large-area 45 mm diameter pancake-geometry Geiger tube with mica window, sensitive to alpha, beta, gamma radiation and X-rays (down de 10 keV). Protective rubber body ideal for industrial envirnoments. 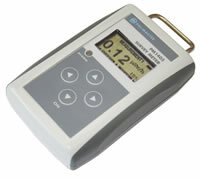 The instrument activates an alarm if radiation levels exceed a pre-set threshold. The large digital display can be switched between count rate and dose rate modes. With a USB connection, the instrument is supplied with a software package (Observer software) to enable real-time visualization of count rate data on a PC, together with data storage and statistical manipulation. 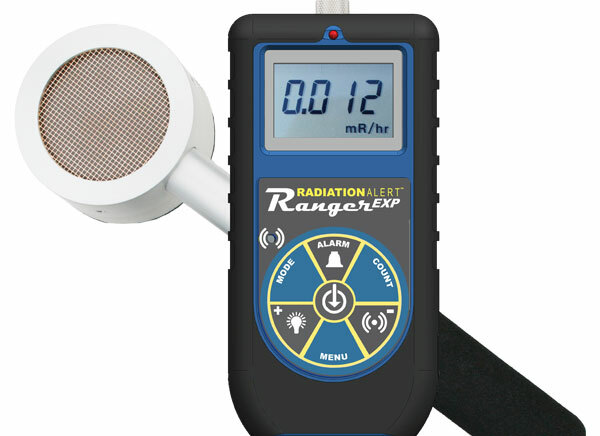 A popular, reliable and easy-to-use general purpose radiation detector incorporating a cylindrical-geometry Geiger tube with mica window, sensitive to alpha, beta, gamma and X-radiation. 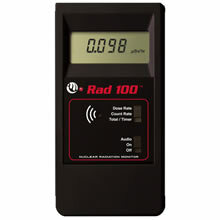 The instrument activates an alarm when radiation levels exceed a pre-set threshold. A submini jack provides audio output to an external earpiece or amplifier. 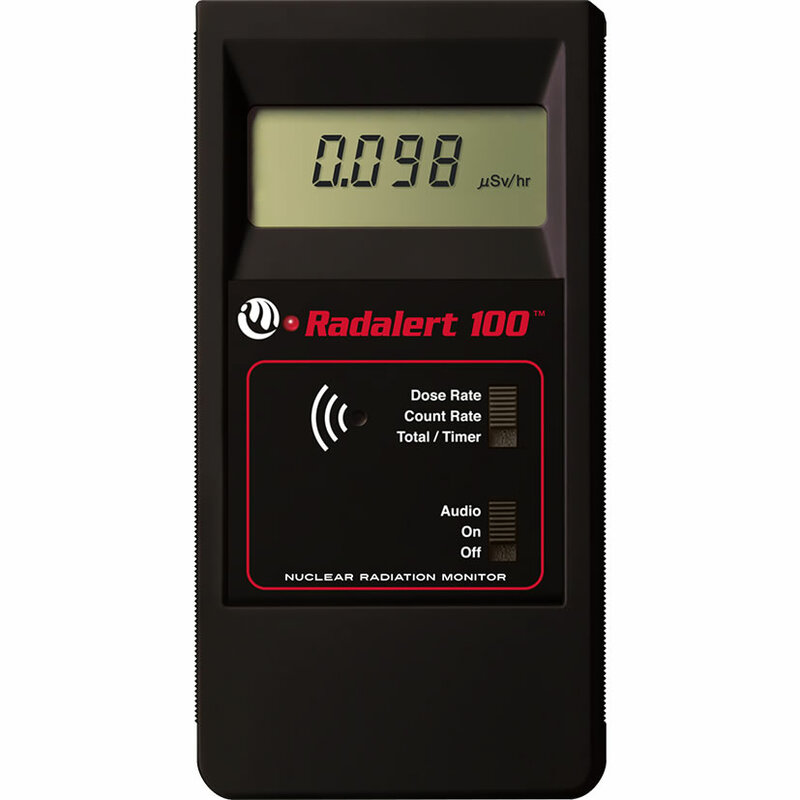 As an optional extra, the RadAlert100 can be supplied with a software package and communications cable to enable real-time visualization of count rate data on a PC, together with data storage and statistical manipulation. Dose rate reading updated every 3 seconds. Features timer function to accumulate counts within a set time period. A general purpose radiation detector sensitive to alpha, beta, gamma and X-radiation based on the Radalert100X but without the alarm function. Easy-to-use professional survey meter with large-area external G-M probe, used for a wide range of radiation detection applications, including search and detection of radioactive materials, X-ray leak detection, and radioactive contamination surveys. External 70 mm diameter pancake-geometry Geiger tube with mica window, sensitive to alpha, beta, gamma radiation and X-rays (down de 10 keV).